“We are delighted to have Superior Court Judge Lewis on our Board of Trustees,” said Mark Cramer Superintendent and CEO. Charter Day School recently announced the appointing of Brunswick County Superior Court Judge Ola Lewis as the ninth member of its Board of Trustees. “The addition of Judge Ola Lewis to Charter Day School Board of Trustees ensures our schools will continue to benefit from a diversity of knowledge and opinions. Judge Lewis is a perfect fit for a trustee because of her strong leadership skills, extensive education experience, and proven track record – especially in creating a better community,” said Donnie Norris, Board Chair, Charter Day School. Judge Ola M. Lewis has had an outstanding career. First, she was the youngest North Carolina District Court Judge, she was also the youngest North Carolina Special District Court Judge. She became the first female African-American District Court Judge in Brunswick county, and one of only two female African-American Superior Court Judges in North Carolina at the time of her appointment to the Superior Court bench in 2000. 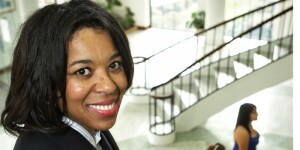 Lewis grew up in a family involved in education, her parents were both public school administrators. She continued her education by graduating from Fayetteville State University with a degree in Business Administration in 1986, and earned her law degree from NC Central University in 1990. Charter Day School is a tuition-free, open enrollment public school in southeastern North Carolina. Since 2000, Charter Day School has focused on quality education and is a premier performance-driven year round school. Widely recognized as a compelling choice to conventional public education the school has built a reputation for retaining dedicated and highly qualified teachers that give students a strong and proven academic foundation. Charter Day School has received numerous awards, including the designation of being a Top-25 School for Academic Growth and of Excellence in the state of North Carolina.